This week the folks at Studio30Plus have taken a different approach to their writing prompt. Instead of a word or phrase they've used a picture to prompt participants. Jack sat on the the front porch of his farmhouse, which had seen better days. He gazed out down his dirt lane towards the highway, absently picking his nose, his old straw hat pulled forward to provide his face with some shade. He was used to this weather. Hot, dry, windy and not a lick of rain. Last year he had been forced to sell his tractor and combine. He did not get a very good price for them. Indeed he didn't earn enough to pay off what he still owed on them. He had persevered the last few years, planting his crops in the fall in the hopes they'd sprout in the spring. But this ongoing drought for the last five years had taken it's toll. And not just out in the blighted and wind-swept fields. Two years ago his wife had left him. One morning she'd packed a couple of bags, picked up the wee children and left in search of a better life. And so he'd spent the last few years alone having to contend with no crops, an empty barn and a house seriously in need of repairs he couldn't afford. 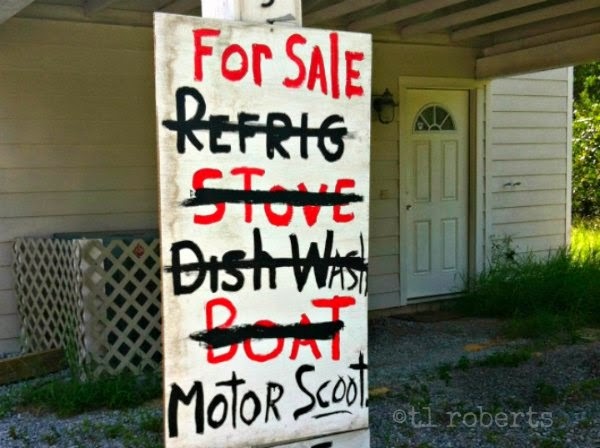 He'd about sold everything, including the kitchen appliances and rowboat. About all that remained was that damn motor scooter he'd bought for his wife on a whim, several years back before they had kids and before the onslaught of the drought. And, of course, the small gun he now held in his hands. Dark, but I love it! Well done! It's where the prompt took me, Paula. Sometime it's light and other times not so much. A bleak story, but all too real for so many small farmers. Sad but true isn't it. I think I read too much bleak fiction and am influenced in my writing. Bravo! Love it when I don't see an ending coming, but it was a perfectly organic fit for the piece. Really great stuff, Duf. Thanks, Jayne. It did work, didn't it.